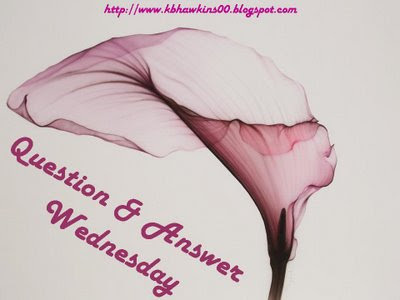 Alright folks, same bat-time same bat-channel... it's Q&A Wednesday!! I really don't have any questions for you as I just happened upon your blog. So 'HI'! Hope you have a great day. Welcome to my blog and my CHOCOLATE giveaway! Good luck. hmmm...a question for YOU! Since I know you make jewelry what is your favorite stone to work with or if you could have any one piece of DREAM jewelry what would that be?